The master bathroom is an important part of every home. It is not only a place to take wash up every morning and night, but also a peaceful sanctuary to unwind and relax. As your needs and tastes change over time, your master bath may lose its original appeal and functionality. Remodeling your master bathroom can be a great way to not only enhance the practical use and visual appeal of your bathroom, but also an opportunity to increase your home’s overall value. Pay attention to the design plan before moving forward with the remodeling part. The functionality and main layout of your master bath will depend on who the end user of the bathroom is going to be. For example, if you want a spa-like bathroom, complete with special, luxurious features, then this is the time to do it. To achieve this style, choose options like natural light, a heated marble floor and a walk-in shower. Many homeowners think they can take on a master bath remodeling project on their own. However, it is vital to understand that viewing the project on paper is one thing, but properly installing plumbing, lighting and flooring is another. We recommend hiring a professional company to help you with your remodel project. If you try to make major changes to critical systems – the ventilation or plumbing – it can turn out to be extremely pricey and potentially disastrous. Keep in mind: It is smart to always work around the existing plumbing. Also, try not to ever block out a major window or vent that is the source of main ventilation in the bathroom. Since styling and grooming is key in the master bath, it’s important to have plenty of surface space to put toiletries and essentials down on. While the double sink configuration has been popular in recent years, it can actually make sense to plan for a single sink and more counter space. 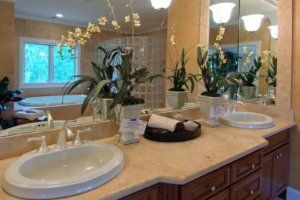 Besides maximizing space, choosing a single sink vanity can save you the expense of a second sink and faucet, as well as expand the available storage space inside the vanity. Be sure to maximize as much possible storage space in an efficient way that all toiletries, towels, styling tools and other personal items can be stored conveniently and in an organized manner. Whether the source is a leaky shower or running toilet, unfortunately, hidden water damage can be common in bathrooms. An experienced contractor can conduct exploratory work in the early stages to discover any potential issues prior to the remodel. This is why it’s important to build at least a 10 percent cushion into your budget – for the unexpected. Finally, don’t rush the process. 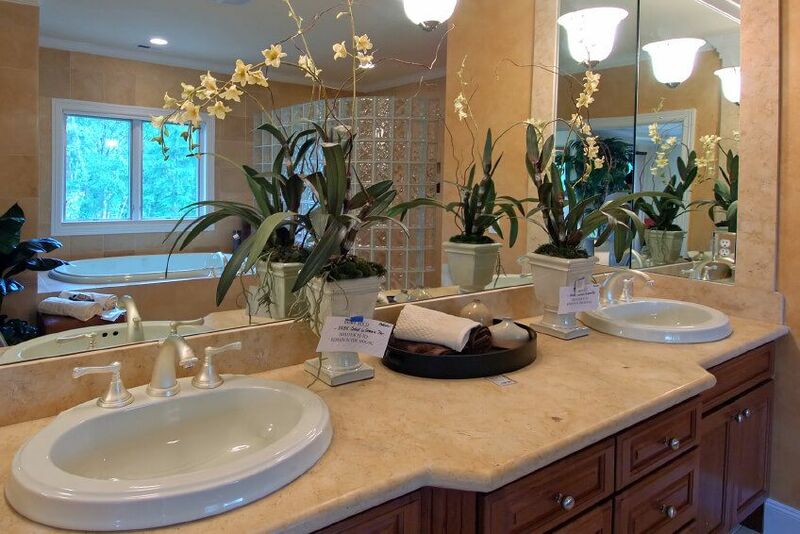 Now that you are ready to remodel your master bathroom, you probably want it done tomorrow. Who doesn’t? However, poor planning can be the leading cause of rapidly inflated costs on these type of projects, especially because when you rush, things often have to be done a second time. Do you need help with your master bathroom remodeling project? Our pre-construction managers can plan and prepare all aspects of your project, right down to the execution. By offering thoughtful, well-planned timelines, you will be able to plan your life during and after the remodel. What are you waiting for? Contact Republic West Remodeling to speak with one of our designers today.